Veritas Legal Plan | Can I Be Arrested for My Debt? Can I Be Arrested for My Debt? "Is this the 1800's? Who gets arrested for not paying their debts?” Well, that can be you if you are not careful and knowledgeable about your rights! If you believe that, by law, you cannot be arrested for owing a civil debt (credit cards, medical bills, rent, etc) you are right….and also wrong. According to the ACLU, four small-claims courts in the state of Massachusetts alone, issued 1,325 warrants for the arrest of alleged debtors in 2016. “So how can you be right about not being arrested for a debt if there are so many people actually being arrested?” Well, they are technically not being arrested for owing the debt, but for failing to comply with the courts. I know, it gets complicated. Let me explain a little further. When a collection agency goes to civil court against an individual in order to collect a debt, the court will set up a date and send a summons to the individual to appear in court for a hearing. On the date of the hearing, if the individual does not show up for the hearing, the judge will award the collection agency with a “win” on the case. They may then issue a garnishment on the individuals’ paycheck, a lien on any property owned by the individual, or set a time frame by which the individual needs to satisfy the debt. If the individual does not satisfy the debt by the designated time frame, the collection agency can notify the court that the individual did not comply with the court order and at that point the judge can issue an arrest warrant for the noncompliance. As you can see, the individual is not going to be arrested for owing a debt but for not complying to a court order. If you believe that this can’t happen to you, I will tell you that 44 out of the 50 states have laws that expressly authorizes debtors to be arrested for contempt of court. And, if you are from the belief that this only happens to the poor, think again! According to the Providence Journal, Gubernatorial Candidate Giovanni Feroce had a warrant for his arrest issued due to failure to comply to a court order coming from failure to repay a debt he owed, and that is in the middle of him campaigning, not when no-one knew him. The candidate ultimately paid the debt and avoided being arrested, but you can see how that can happen to anyone. Now that I got your attention, let’s talk about the steps that can be taken to keep this from happening to you. - Do not avoid collection notices – If you owe the money, try to always talk to the collectors and explain why you can’t pay the debt. It is important to be “on record” that you have not avoided them and always tried to work with them. - If you are summoned to appear in court, GO! – The biggest mistake you can make is to not appear before a judge. If you appear in court, the judge will hear to your side and try to work a deal that may benefit all sides. If you do not appear in court, the judge has no option other than to give the other side all they want. - Get a lawyer or at least legal advice -- If you can afford (or if you are a member of the Veritas Legal Plan), make sure to get at least an opinion from a lawyer before going to court. - Do not falter on any court arrangement – After going to court and agreeing to a payment arrangement, make sure to follow through. The non-compliance is what will get an arrest warrant issued. 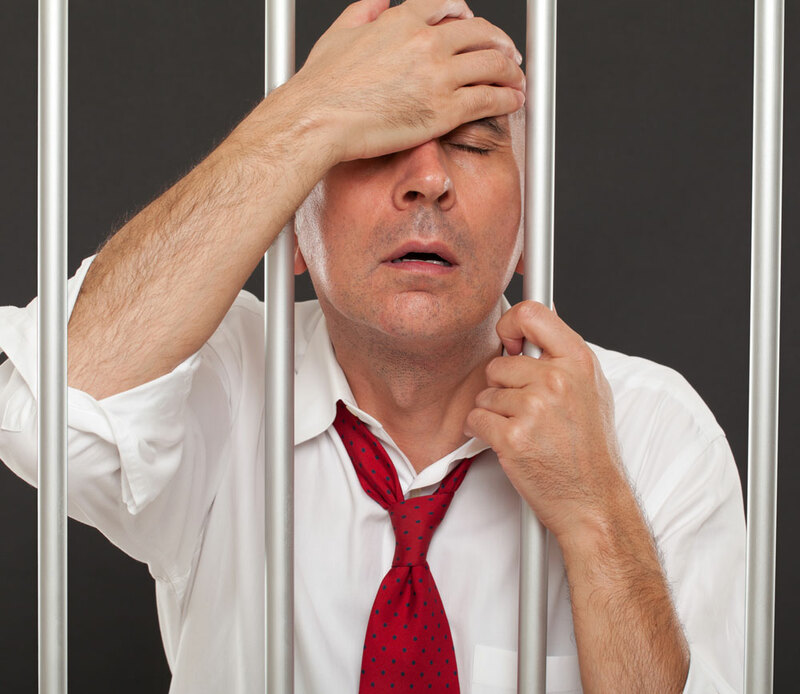 Debtors jail has been abolished for way over a century, but if you are not careful you can still end up in jail. Make sure to always know your rights and speak to a lawyer when in doubt.